DUBAI, 21st December, 2017 (WAM) -- The Principality of Monaco will showcase its innovation and new technologies when it participates at Expo 2020 Dubai. A delegation from Monaco visited Dubai to meet the Expo 2020 organisers and seal the country’s participation at the first World Expo in the Middle East, Africa and South Asia (MEASA) region. As part of the visit, Albert Croesi, the newly-appointed Commissioner General of section for Monaco and Director-General of Monaco Inter Expo, and Najeeb Mohammed Al-Ali, Executive Director, Dubai Expo 2020 Bureau, signed Monaco’s official participation contract for Expo 2020 Dubai. Monaco is the latest participant to formally sign a contract, and more than 160 nations have either publically or privately confirmed they will take part in Expo 2020. The city-state, one of the most densely populated sovereign states in the world, will showcase itself at Expo 2020 Dubai through its world renowned areas of expertise: art, gastronomy, hospitality, research, industry, new technologies and the luxury sector. The Monegasque pavilion will express its identity and engage its visitors through an activity programme, including shows, conferences and exhibitions throughout the six-month duration of the Expo. Najeeb Mohammed Al-Ali, said, "We are pleased to welcome Monaco as an official participant at Expo 2020 Dubai and look forward to working closely with all of the country’s stakeholders on our journey to Expo. "Monaco has huge ambitions and we are excited to see the opportunities and forward thinking it brings to Expo, and the world, in less than three years’ time." As well as providing Monaco with a global platform to present its innovations to an audience of millions, Expo 2020 Dubai will be a gateway for the country and its businesses of all sizes to access new markets throughout the Middle East, Africa and Asia. 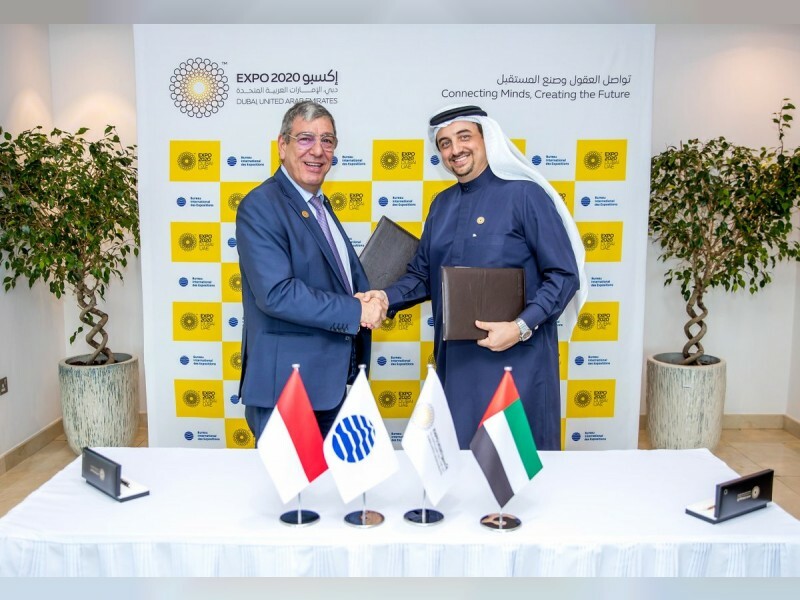 Albert Croesi said, "Expo 2020 Dubai will be a unique platform for collaboration and cooperation that will enable countries to work together to forge a better world. "Expo 2020 will offer us the opportunity to present a 360-degree view of our country. We will be able to exchange knowledge and expertise with governments and businesses alike, and highlight Monaco’s strengths that make it a hub of connection between ideas, individuals and technology." The relationship between Monaco and the UAE extends to trade and economic cooperation. In July, a trade mission headed by Sultan bin Saeed Al Mansouri, UAE Cabinet Member and Minister of Economy, visited the Principality of Monaco to facilitate economic cooperation and further explore trade and investment opportunities between the countries. Monaco has a long history of participation at Expos and has been involved in most World and Specialised Expos since the first World Fair held in London in 1851. Through its overall theme, ‘Connecting Minds, Creating the Future’, Expo 2020 Dubai will be a celebration of ingenuity that provides a platform to encourage creativity, innovation and collaboration, underpinned by its three subthemes: Opportunity, Mobility and Sustainability. Expo 2020 Dubai will run for six months from 20th October 2020 to 10th April 2021 and is anticipated to receive 25 million visits, with 70 percent due to come from outside the UAE, the largest proportion in the history of World Expos. More than 180 countries are expected to take part, with further national participation announcements expected in the coming months.